Michael C. McCullough (and his twin brother Stephen) is well known through out the Southwest over the past 30 years for his strong, vibrant paintings. 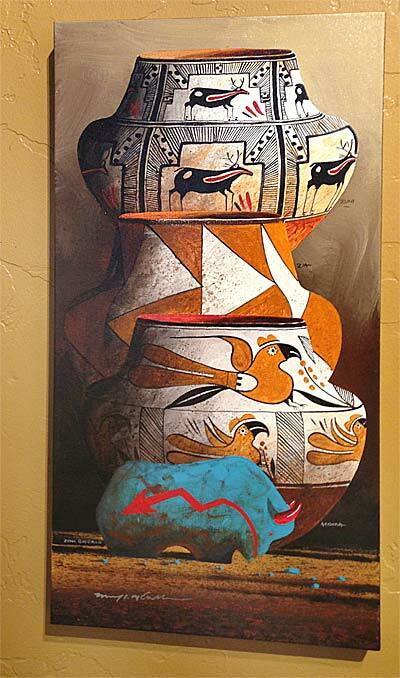 As a Native American (member of the Choctaw Nation) he specializes in original paintings of authentic images reflecting the culture and history of the Southwest. 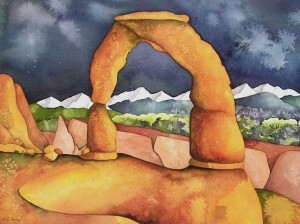 Moab artist Kathy Cooney was the 2011 Community Artist in the Parks. Kathy's watercolor paintings reveal her deep love of canyon country's desert landscapes and the timeless heritage of the Four Corners area. A resident of Moab since 1987, Kathy "realized that the rocks, mountains, water and trees are not separate entities, but are all connected to the same heart of the scene."